For all those Fresno State Bulldogs Fans out there: football-shaped area rugs by FANMATS! Made in the U.S.A. 100% nylon carpet and non-skid Duragon&REG: latex backing. Machine washable. Officially NCAA licensed. Chromojet painted in true team colors.FANMATS is a leading manufacturer of tufted floor mats and rugs specializing in officially licensed mat products. Each FANMATS product is produced in their 250,000-square-foot state-of-the-art manufacturing facility in Suwanee, Georgia, using high luster nylon yarn in 16 oz. face weight carpet. 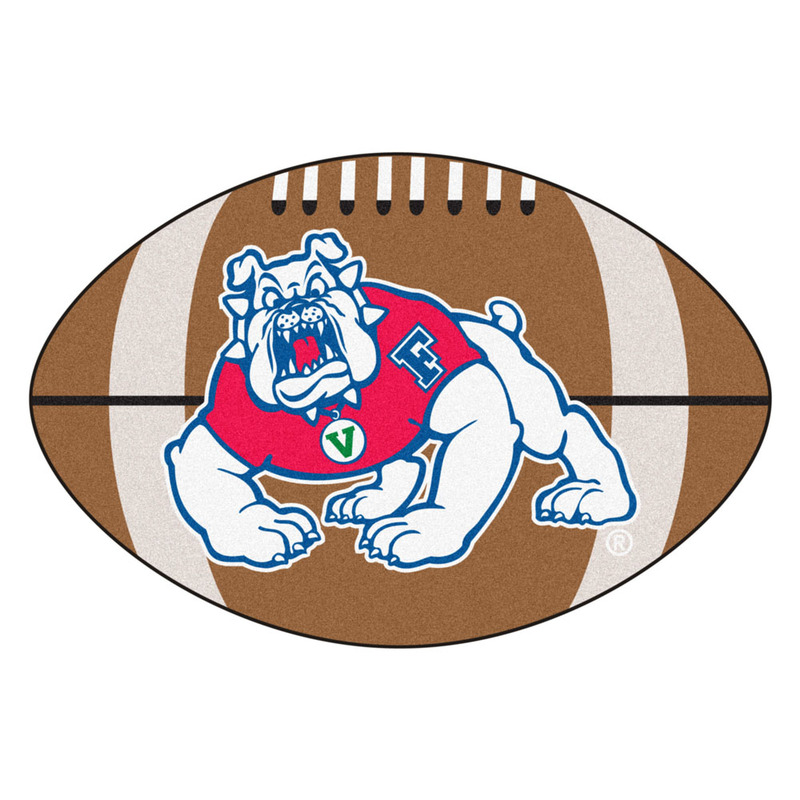 You found 22" x 35" Fresno State Bulldogs Football Mat in category Football and subcategory NCAA FanShop. If you need to buy more NCAA FanShop than you are on the righ place. 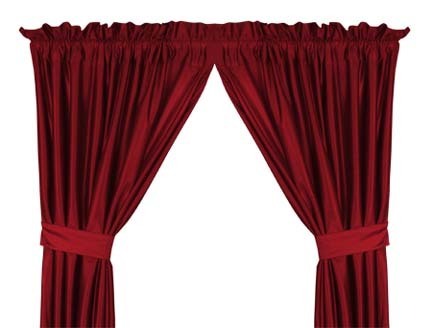 Complete your NCAA room with this printed 84" x 15" Curtain Valance. 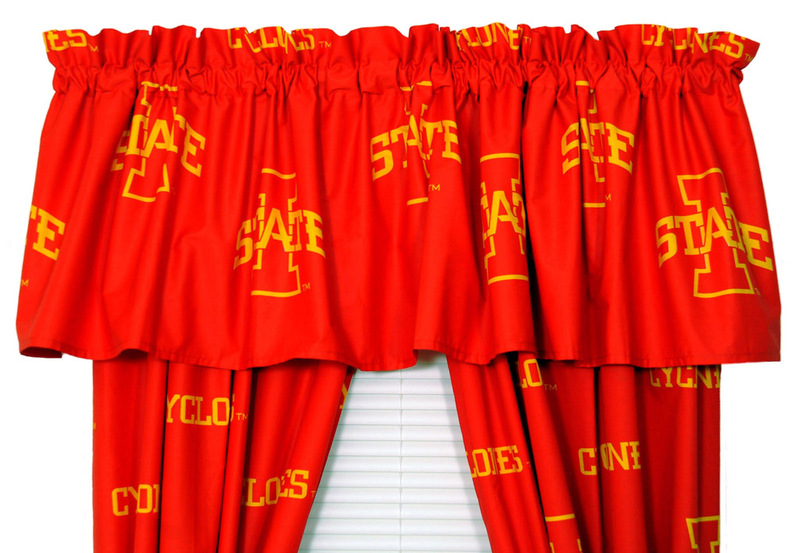 Valance has 2" rod pocket and 2" header with complete all over printing done on Iowa State Cyclones color. 100% cotton sateen and pigment printed for long lasting color.To see other items for this team from College Covers, please click here. FANMATS is a leading manufacturer of tufted floor mats and rugs specializing in officially licensed mat products. Each FANMATS product is produced in their 250,000-square-foot state-of-the-art manufacturing facility in Suwanee, Georgia, using high luster nylon yarn in 16 oz. face weight carpet.The mats are chromo jet printed, allowing for unique, full penetration of the color down the entire tuft of yarn. FANMATS products feature non-skid Duragon latex backing and a sewn serged edge. 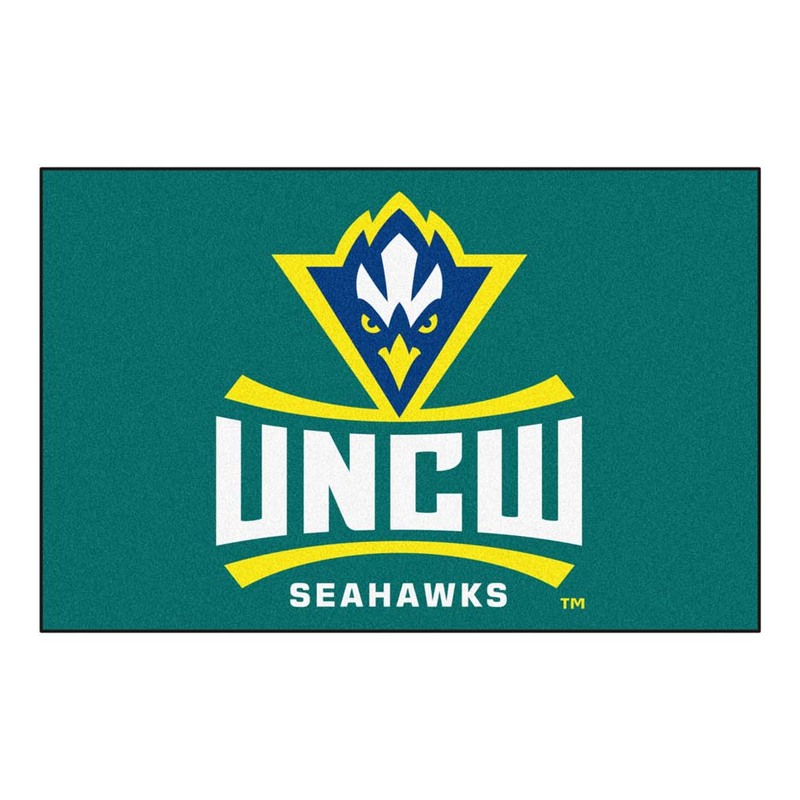 The result is a superior quality, highly attractive mat in vibrant true team colors that any NCAA North Carolina (Wilmington) Seahawks fan would want to own. 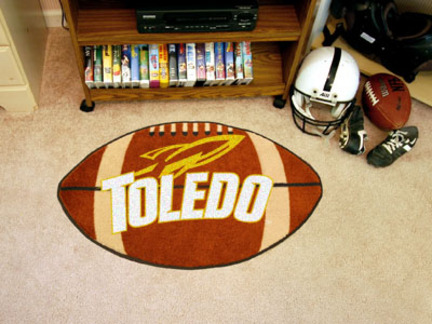 For all those Toledo Rockets Fans out there: football-shaped area rugs by FANMATS! Made in the U.S.A. 100% nylon carpet and non-skid Duragon&REG: latex backing. Machine washable. Officially NCAA licensed. Chromojet painted in true team colors.FANMATS is a leading manufacturer of tufted floor mats and rugs specializing in officially licensed mat products. Each FANMATS product is produced in their 250,000-square-foot state-of-the-art manufacturing facility in Suwanee, Georgia, using high luster nylon yarn in 16 oz. face weight carpet.